The pants fit your friend perfectly. 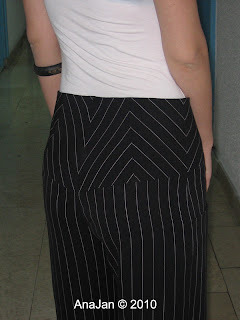 I like the way you made the stripes chevron on the waist area. It looks fantastic. I am sure it was a lot of work.